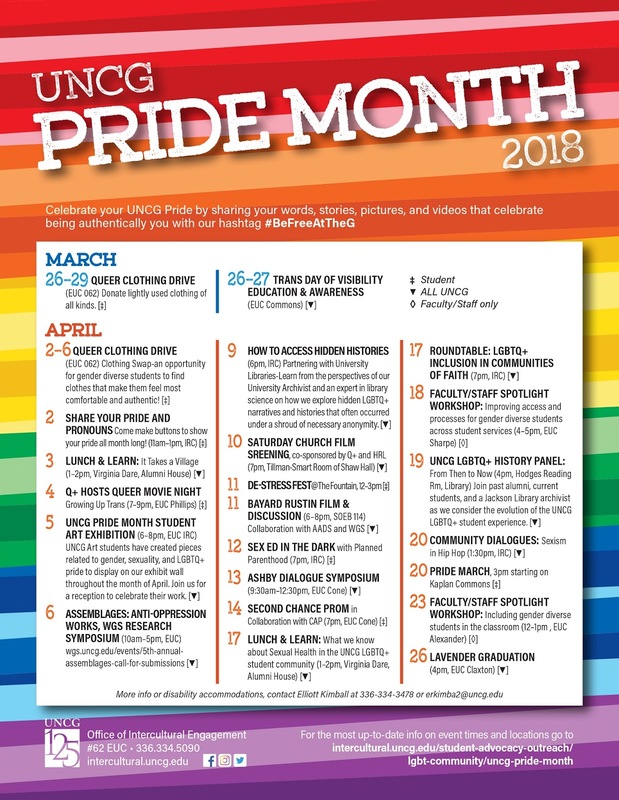 The University Libraries is partnering with the Office of Intercultural Engagement (IRC) to present "How To Access Hidden Histories" for UNCG Pride Month 2018. Learn from the perspectives of our University Archivist and an expert in library science on how we explore hidden LGBTQ+ narratives and histories that often occurred under a shroud of necessary anonymity. 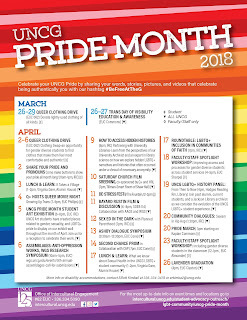 For more information about other UNCG Pride Month events happening around campus in 2018, see the attached flyer. An annual event, the UNC Greensboro University Libraries' Diversity and Global Engagement Expo features a collective sharing of music, food, culture and values. At the the 31 January 2018 Expo, a panel of UNC Greensboro faculty and staff discussed the importance of diversity and multiculturalism in higher education.